You can fight your Helena, Alabama traffic charge. Traffic charges add points to your driver's license, so pleading guilty now can affect you later. Some of the possible problems you could face are license suspension, fines, court costs, increased insurance rates, loss of your job, and trouble getting a job due to the added points to your driving record. Commercial driver's license (CDL) holders will face much more serious problems. Hiring an attorney does cost money, but it could save you much more in the long run. The process to hire the attorneys at Kreps Law Firm, LLC is simple. During our initial conversation you will tell us about your charge. If you choose to hire us, attorney fees will be paid by agreement. Most of the time attorney fees can be paid by phone. Out of state clients benefit greatly from this. We will begin drafting and filing documents with the court as soon as fees are paid. Our attorneys and staff will work hard until your case has been resolved. At Kreps Law Firm, we spend hours and hours preparing our clients' cases. We pay close attention to every detail of your charge. It is important to us that you get the best results possible in your Helena, Alabama traffic case. We understand what you are going through and we are here to help. We truly care about our clients and their cases. 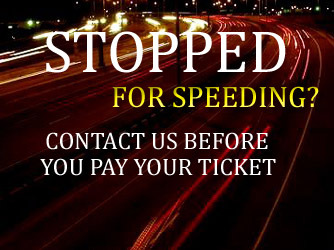 It is our goal to get your Helena, Alabama speeding, reckless driving, running a red light or stop sign, or speeding 25 over charge dismissed. Our attorneys can fight your charge, so call Kreps NOW at (866) 348-2889 or CLICK HERE to begin the process.